Most of the street was immersed in darkness. But one corner was flooded with light. There, a makeshift stage had come up on the middle of the lane. A roof of plastic sheets had been laid out over the stage. 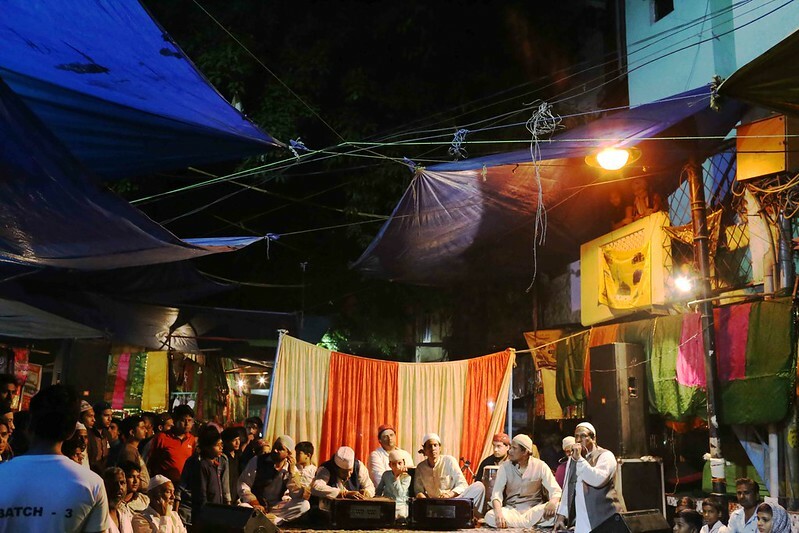 One midnight The Delhi Walla was in Hazrat Nizamuddin Basti, a historic village that takes its name from a 14th century Sufi saint. His shrine lies at the end of the aforementioned street. 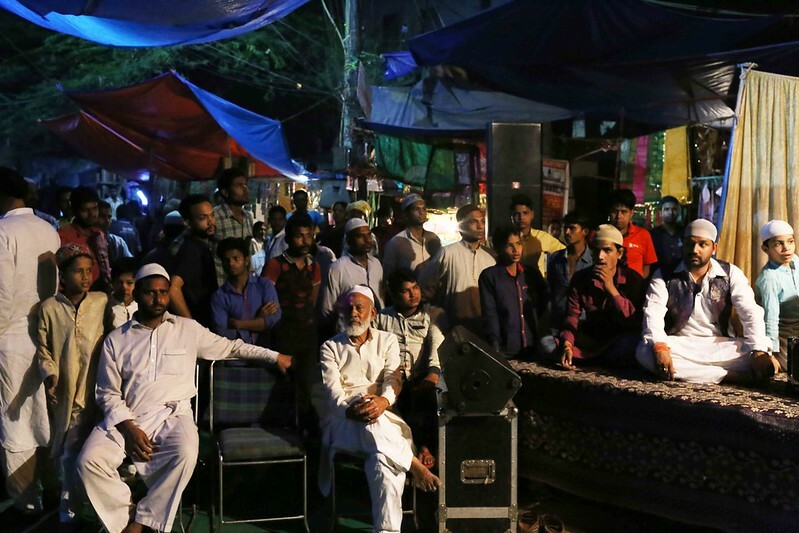 The street looked abandoned at this late hour but the stage was filled with qawwal musicians—all of them, including a child, belonged to the house of Nizami Khusro Bandhu family, whose patriarch, the great Meraj Ahmad, died late last year. 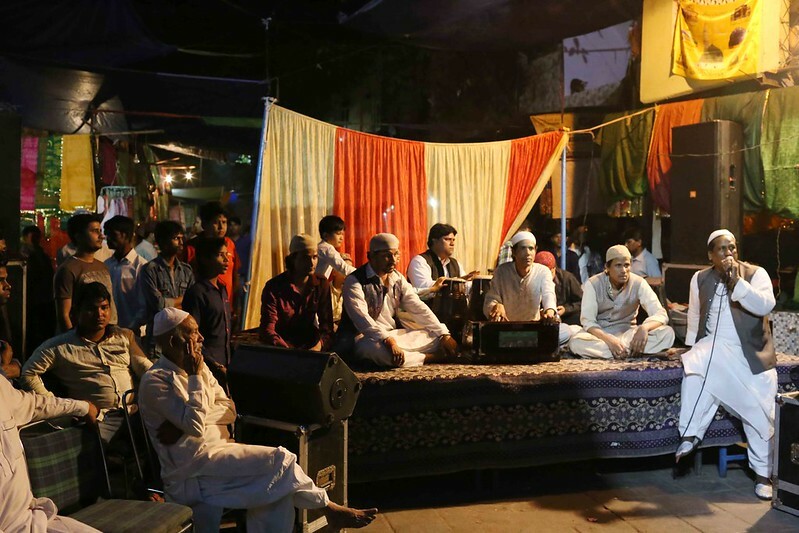 They were seated with their harmoniums and dholaks. 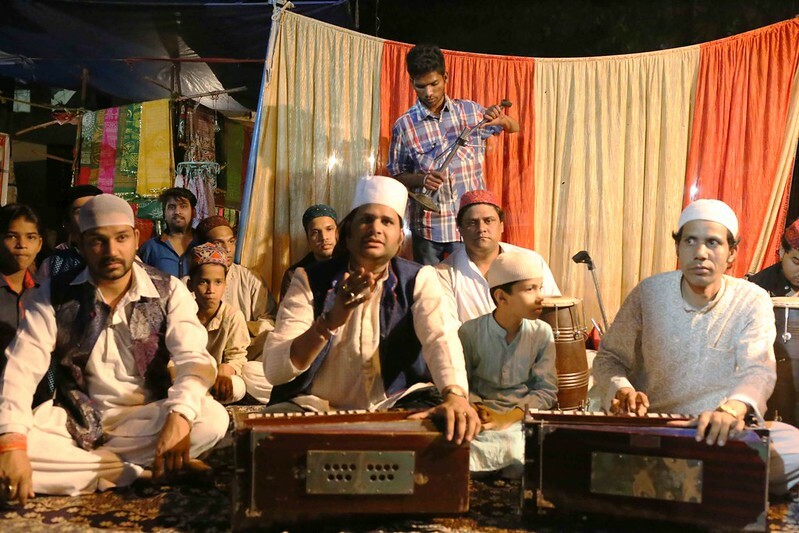 Many other qawwals from other traditional qawwal families were standing towards the entrance to the Sufi shrine. 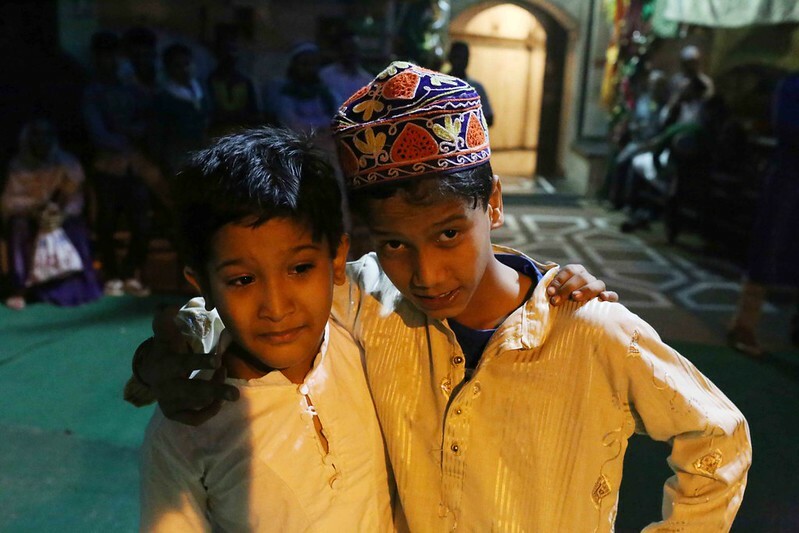 One of them told me that the late night qawwali was being offered in honor of a pilgrimage that was to culminate in the great Sufi shrine of Khwaja Moinuddin Chishti in Ajmer, Rajasthan. 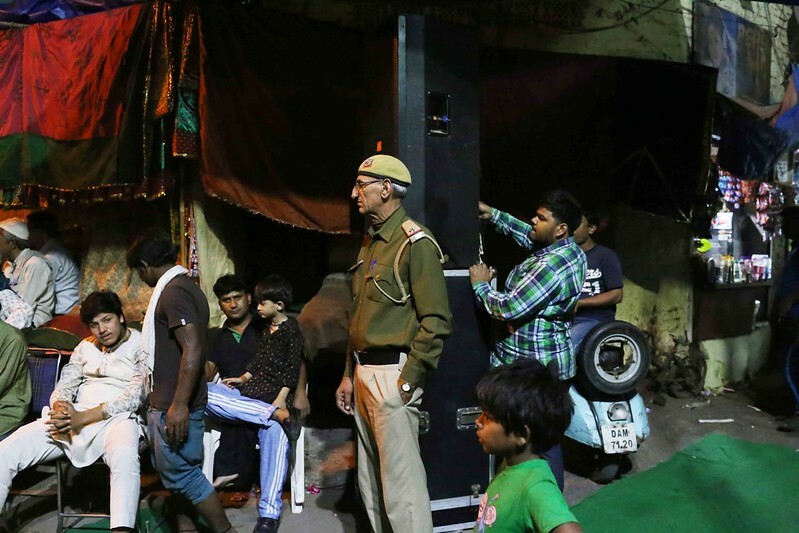 The audience on the street consisted of a few passersby and local residents, and also a handful of sleepy-eyed constables of the Delhi Police. Some of them were seated on chairs that were placed on either side of the street. 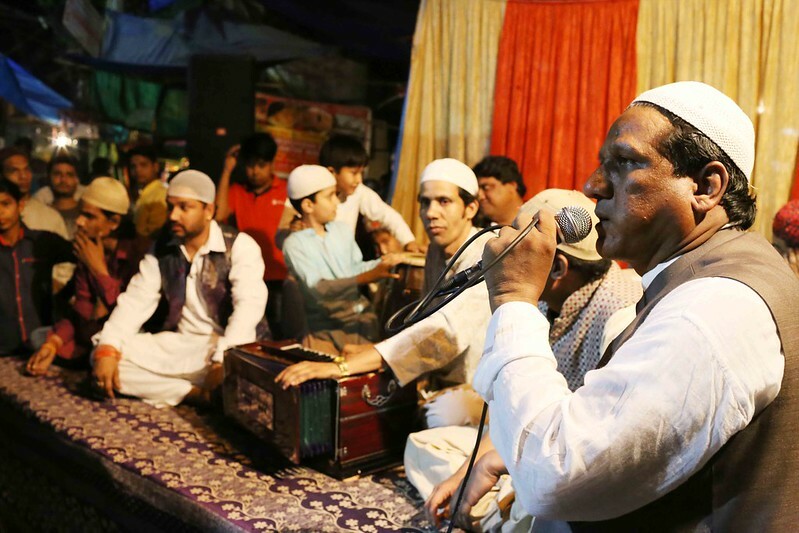 Soon, the celebrated qawwal Chand Nizami—who has appeared in many Hindi films—appeared from the darkness. He was dressed in white. He took the speaker in his hands and urged the scanty audience to settle down. 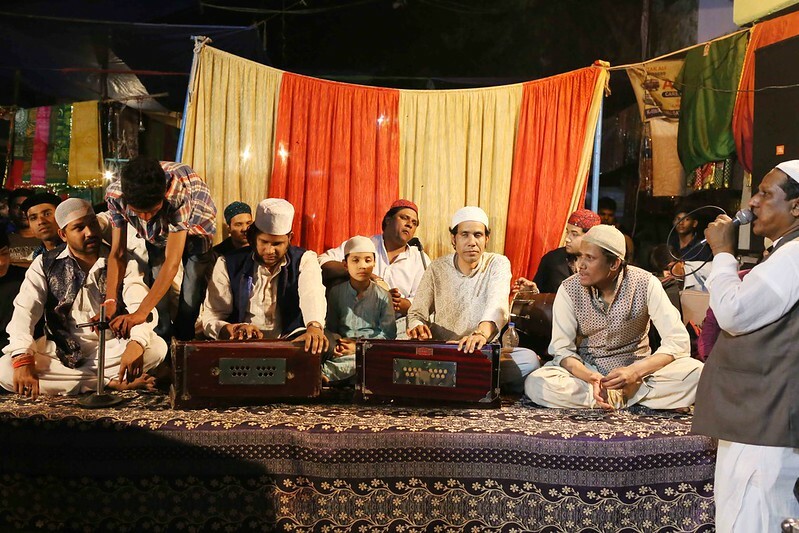 He then politely requested all his fellow qawwals to keep their offerings brief “because qawwal groups have come from across India and each needs sufficient time to perform before the night ends”. The Nizami Khusro qawwals on the stage nodded vigorously. Some of the children in the audience then came forward towards the stage and sat down in front of it. Finally, the sons of the late Meraj Ahmad started to perform. It was a beautiful moment. It’s a shame that women are kept away from so many of our public spaces and events.